A package exploded in Sun Leisure Mobile Home Park on Wednesday morning at 10:51 a.m. Emergency responders were called to package explosion on Wednesday at 10:51 a.m. at Sun Leisure Mobile Home Park in Penticton. Penticton RCMP said this morning the bomb disposal unit from the Lower Mainland has arrived and seized evidence for forensic examination. An elderly woman narrowly escaped serious injury when what is believed to be an explosive device wrapped as Christmas present exploded as she was opening it Wednesday morning. Dorothy Czerniak who lives in Unit 26 at the Sun Leisure Mobile Home Park had her hair singed and suffered minor burns, but was not taken to hospital. Multiple ambulances and other emergency vehicles responded to the call around 10 a.m. at the park located just west of the intersection of Channel Parkway and Skaha Lake Road. Another park resident said she saw firefighters being sprayed with some material afterwards. According to Don, a young boy who lives nearby first saw the package which was on the ground in front of his cube van parked at his parent’s residence. RCMP at this point are not releasing any information at this point however expect to put out a news release by the end of the day. The residence is currently behind yellow police tape as the investigation continues. Emergency responders were called to a package explosion on Wednesday at 10:51 a.m. at Sun Leisure Mobile Home Park in Penticton. According to one witness, the package caused a loud bang in the park and smoke was seen coming from one of the homes. It is believed one person was found with injuries but it is unknown the extent at this time. 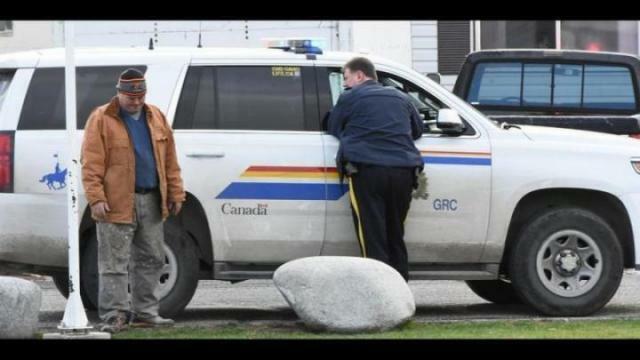 The scene is locked down while RCMP investigate further.